Exhibition available for viewing through Oct 27th. 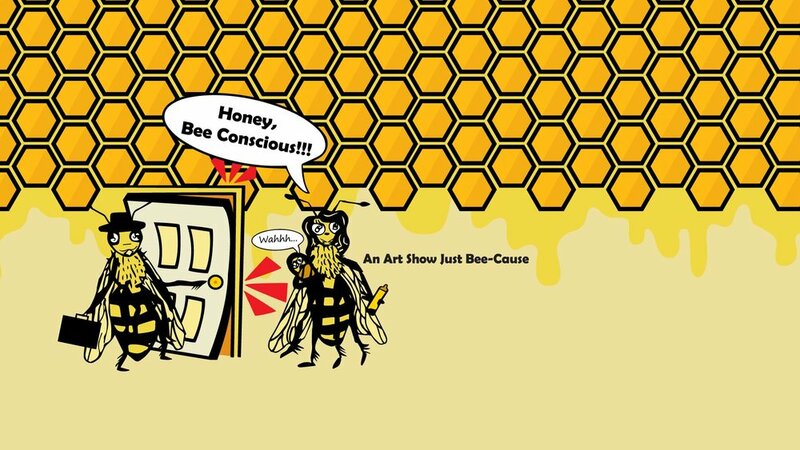 Riverside artist and curator, Rachael Dzikonski of the Riverside Arts Council is combining her talents to help raise awareness for Colony Collapse Disorder (CCD). Bee populations have been on the decline, creating worry for agriculture and our future. With the help of the UCR Entomology Department, this exhibition will help to educate the public on how they can help as well as raise funds for research. The opening reception will feature the work of over 30 local artists, in addition to a honey tasting bar and a live observation hive. Come out and support, just bee-cause! La Bodega Gallery presents the "Mermaid Art Show"
Mermaids have been enduring symbols in myth and culture for thousands of years. They continue to have a very visible role in contemporary society in advertising, movies and art. Please join us for a night of mystical energy. Elemental Sisterhood is a collective of artists who specialize in vastly different techniques, working collaboratively and individually to piece together an exploration of the dynamics of womanhood and a sisterhood of elements. 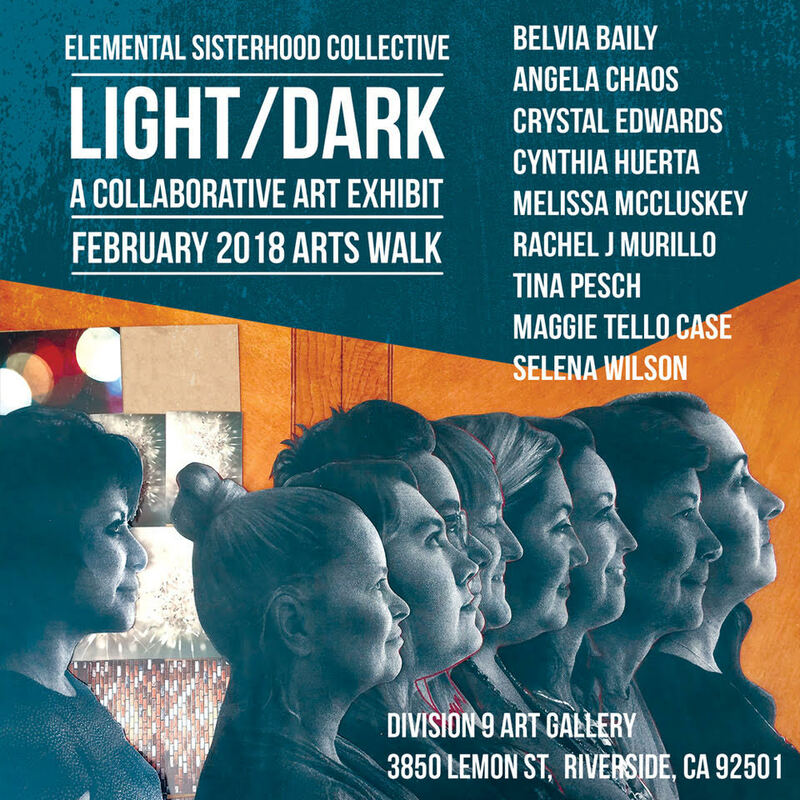 Light/Dark is a collaborative group show featuring works by Angela Chaos, Belvia Bailey, Crystal Edwards, Cynthia Huerta, Melissa McCluskey, Rachel J. Murillo, Tina Pesch, Maggie Tello Case, and Selena Wilson. Come Celebrate the life and legacy of one of Latin America’s most important Artist, Frida Kahlo. Enjoy a lively atmosphere featuring an Art Exhibition, Live Music, Dance, Great Food, Beer & Margarita Garden, Craft and Art Vendors, and Activities for the kids!! Amo Frida will take place at White Park in Downtown Riverside on Market. CCMA is pleased to present Capricious Mischief, a group exhibit of fiber artists who bring the spirit of play, curated by Cindy Rinne. The audience may meet a fox, rabbit, deer Goddess or other characters of folklore. The variety of textile arts includes weaving, quilting, embroidery and tapestry sculpture among others. We share the works of Maggie Tello Case, Hellen Feller, Sumi Foley, Cindy Rinne, Froukje Schaafsma and Jan Wheatcroft.